Sorry, the Campfire Chat is now full. We are unable to accept any additional registration. Free for parents, caregivers, teachers and professionals who work with children and teens with ASD, ADHD & learning disabilities.The event will be held at the University of Toronto’s George Ignatieff Theatre, 15 Devonshire Place near Bloor & Bedford Avenues on February 22, 2017 at 7 PM. When making a decision on how to help their child manage their ADHD, today’s parents need to decide between many treatment options. With so many opinions and tyoes of information available in the media and online, it’s hard to sort out what works, what doesn’t, and what the best options available are. In his presentation and discussion Dr. Almagor will present the facts and evidence for the best options to help your child today. When learning is challenging, school can be frustrating. When an assessment reveals a Learning Disability, is there anything that can be done? A brain that is put to work with specific interventions can enjoy academic improvements through the mechanism of brain plasticity. But brain work doesn’t always have to be hard work! Dr. Miles will discuss DIY (do it yourself) strategies you and your child can try at home to improve skills while having fun. Using occupational therapy tools you can help your child learn to self regulate during routines and through transitions. Gillian Chow will discuss what occupational therapy (OT) is, and the role it plays in helping children with autism achieve their everyday goals. She will provide some fun and practical approaches to help children with emotional regulation and sensory issues. 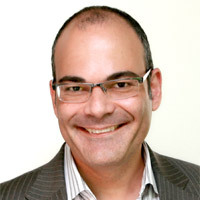 Dr. Almagor is a Child, Adolescent and Adult Psychiatrist (Royal College Subspecialty Certified) who completed his specialty training in Psychiatry at the University of Toronto and is an expert in the diagnosis and treatment of ADHD and associated issues. He is the Chair of CADDRA (The Canadian Attention Deficit Hyperactivity Disorder Resource Alliance). In addition to directing The Possibilities Clinic, he has an appointment with the Department of Psychiatry at the University of Toronto and The Hincks-Dellcrest Centre. He has served as the President of the Ontario Psychiatric Association (OPA). He has lectured internationally and taught a variety of courses in the areas of ADHD and its comorbid disorders such as Learning Disabilities and anxiety. 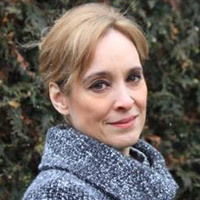 Dr. Brenda S. Miles, Ph.D, C. Psych., is a clinical paediatric neuropsychologist who has worked in hospital, rehabilitation and school settings. She has written several books for children including, Stickley Sticks To It: A Frog’s Guide to Getting Things Done, Move Your Mood, and Cinderstella: A Tale of Planets, Not Princes. At The Possibilities Clinic, Dr. Miles offers psychoeducational and neuropsychological assessments, memory and executive functioning intervention for children and teens, and consultation with parents and teachers regarding evidence-based interventions that support learning and achievement. 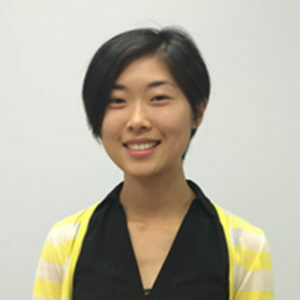 Gillian Chow is a registered Occupational Therapist with an interest in children’s mental health and a passion for working with children and families. Through her work with Autism Ontario Kids Camp and Giant Steps Toronto, she has gained diverse experience working with school-aged children with ASD, Learning Disabilities, ADHD and sensory issues. At The Possibilities Clinic, Gillian works with families to enable their child to achieve their everyday goals and academic success. Learn more about our overnight camp for children and teens aged 6+, with ADHD, autism, OCD, learning disability, anxiety and other special needs.